Mariam Yahia Ibrahim Ishag, the Sudanese woman who escaped a death sentence imposed for renouncing her Christian faith, says she wants to campaign for others who face religious persecution. In a recent interview taken by the BBC TV in the US, where Mariam Ibrahim is seeking asylum, she said she hopes to return to Sudan one day. She earlier received an award from a US Christian foundation. Mariam Ibrahim’s sentencing – by a Sudanese court that did not recognise her Christian faith – sparked outrage this year. Born to a Muslim father, Mariam Ibrahim was raised a Christian by her mother and married a Christian man. Under Sudan’s version of Islamic law, however, her father’s religion meant that she too was still technically a Muslim. A court found her guilty of apostasy, or renouncing one’s faith. 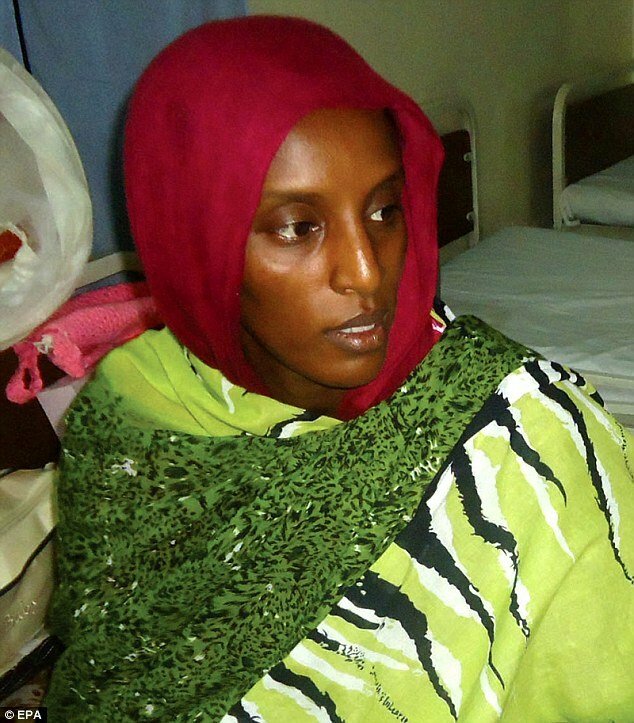 Sentenced to hang, Mariam Ibrahim gave birth to her daughter while shackled in prison. Under intense international pressure, her conviction was quashed and she was freed in June. On September 27, Mariam Ibrahim received an award from a gathering of evangelical Christian conservatives in Washington, who see her treatment in Sudan as an assault on their values.